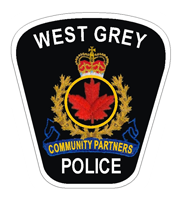 On March 9th West Grey Police attended a noise complaint on Countess St N in Durham. Occupants of the residence were asked to turn down the loud music. When officers were called again later to the same residence for the same complaint, a ticket under the Municipal noise bylaw was issued to the resident. With the warmer weather arriving, please be cognizant that neighbors will often sleep with windows open and noise levels should be kept to a respectable volume. On March 9, 2019 West Grey Police responded to a single vehicle rollover. The 29 year old male driver from North York was found to be impaired by alcohol, The driver was transported to the West Grey Police station where he registered readings well above twice the legal alcohol limit. The accused was later released on a promise to appear in Walkerton court at a later date. On March 10th police responded to a residence in the former Glenelg township for a report of stolen 2003 Polaris Pro X. This investigation is ongoing and anyone with information about this theft can contact the West Grey Police at 519-371-6911 or Crimestoppers at 1-800-222-TIPS. On March 10th 2019 police received a report of a stolen UHaul trailer from a business on Grey Rd 10 north of Hanover. Video surveillance captured the theft and the suspect vehicle. The investigation continues. Anyone with information can contact the West Grey Police or Crimestoppers. On March 12, 2019 police responded to the Victory Fellowship church after a churchgoer observed two young males exit a pick-up truck they had backed into the parking lot where they unhooked a U Haul trailer from the truck and then left the scene. Investigation revealed the UHaul had been stolen from Flesherton. The suspect pick- up truck is associated to other crimes in the area and the police investigation continues. On March 11th police entered into an investigation which led to the recovery of two stolen ATVS from a property on Grey Road 10. Two suspects were identified and one was subsequently arrested, held for a bail hearing and then released on his own recognizance. The second suspect is currently incarcerated on other charges but a warrant for his arrest on an additional charge of possession of stolen property is being sought. On March 13, 2019 an officer on patrol spotted a male party who had outstanding warrants. Subsequent to arrest and search the 34 year old male was charged with breach of recognizance, possession of a weapon dangerous to the public and possession of methamphetamine for the purpose of trafficking. That male party was held for a bail hearing and remains in custody at the time of writing. On March 13, 2019 in Walkerton court, the driver involved in the Family Day pursuit pled guilty and was sentenced to eight months in jail in addition to the time he has already served.